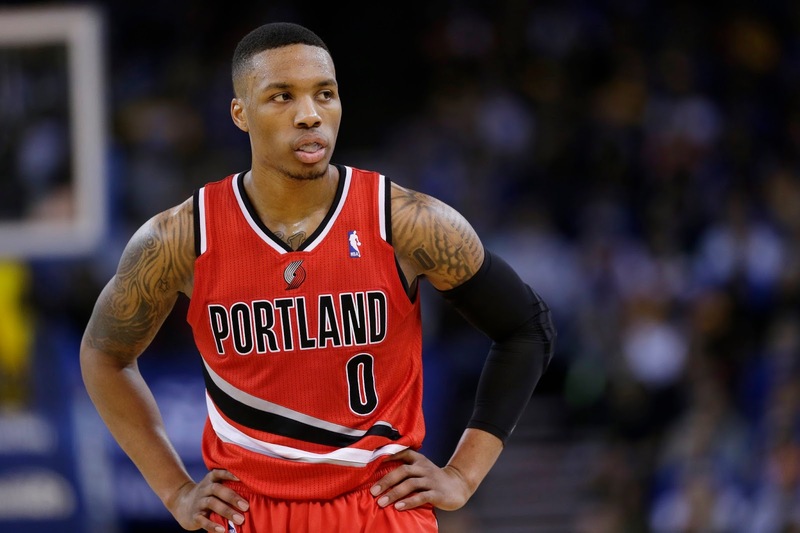 The Portland Trailblazers currently have a star on their team. Sure, he may not be on the level of LeBron, Kevin Durant, Steph Curry or Russell Westbrook in terms of stature and hype yet, but Damian Lillard is a star. He's growing into the true leader of the Trailblazers team and he could very well lead them to a shocking deep run in the playoffs. His level of play has improved this season, but his story starts back in Oakland when he was still honing his craft and learning all about the game. Before Dame became the no. 2 leading three point shooter in Blazers history, he was in high school his final two years at Oakland High School, and he averaged 22.9 PPG in his senior season. 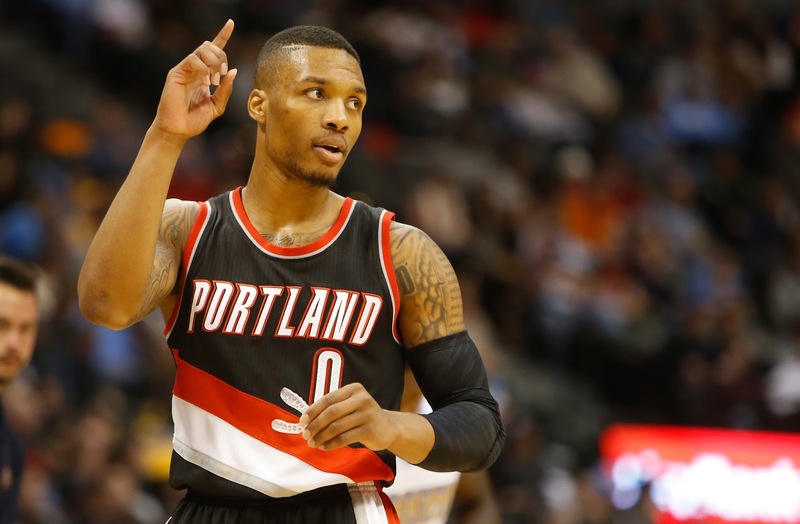 Dame was a force and led Oakland to a 23-9 record, but he was not heavily recruited. He accepted a scholarship from Weber State University in Utah and his journey really began. 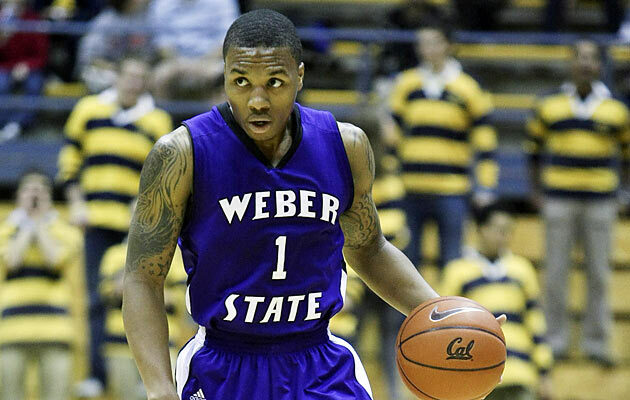 In his freshman year at Weber State, Dame would showcase his skills and win Freshman of the Year for his conference and first team All Big Sky as well. He was on his way to a successful college career it seemed and after only averaging 11.5 PPG his freshman year, his sophomore season would result in him upping that average to 19.9 PPG and he led the Weber State Wildcats to the Conference Championship for the regular season, earning him the accolade of Big Sky Player of the Year and an honorable mention All American by the Associated Press as well. 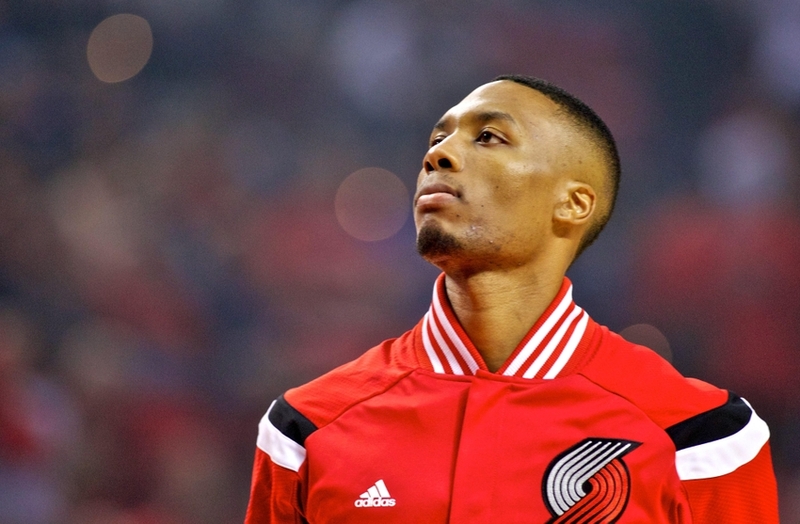 Dame was showing his worth without a doubt, and going into his next year, he ended up sidelined with injury. 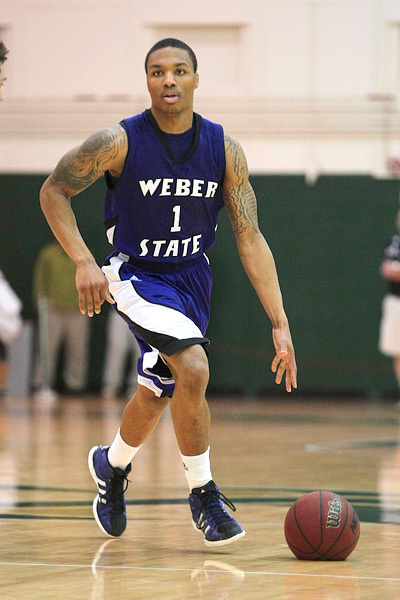 However, after coming back from injury, Dame would end up averaging 24.5 PPG and was named for the third time to the All Conference Team and won his second Big Sky Player of the Year award. Regarded as the best point guard prospect, Dame decided to forego his final year at Weber State and would enter the NBA Draft. He would leave Weber State as the 2nd leading scorer in the college's history and would be the 5th highest scorer in Big Sky Conference history as well, racking up even more accomplishments as he prepared to go in the NBA Draft. 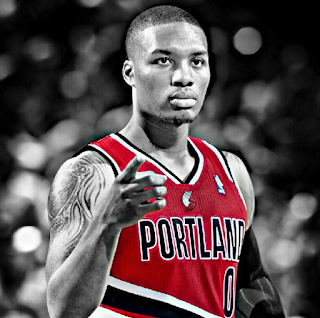 It was rumored that Dame was expected to go very early and that he did, as he was selected no. 6 in the NBA Draft by the Blazers and it seemed as if he was on the path to possible greatness. In the Summer League, Dame won Co-MVP honors and averaged 26.5 PPG, but his real test would come in his first official professional game. 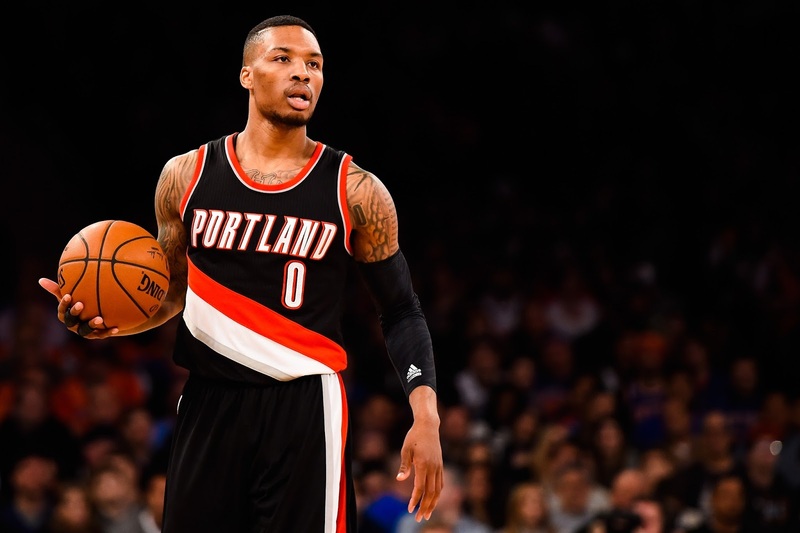 His first game oddly enough would come against the Lakers, and Dame would debut with a double-double performance of 23 points and 11 assists. He was off to a good start and his rookie year would definitely be successful and during All Star weekend, Dame would win the skills challenge. In a bit of poetic justice, Dame had his season high game of 38 points against the Lakers and finished the season with 19 points a game as well as 6.5 assists as well. Dame would win the huge honor of Rookie Of The Year and etched his name in history as one of only three rookies to record 1500 points and 500 assists in a season, and became only the 2nd Blazers player to ever do that period (the first being Blazers legend Clyde Drexler). After a truly successful rookie season, one had to wonder how Dame could do better and not fall into the 2nd year slump that some players experience. How would Dame manage to handle this? By getting voted in to his first All Star Game. He became the first player in NBA history to take part in 5 different events during the weekend, and he would team up with Trey Burke to win the Skills challenge. Dame finished the season with 20.7 points and 5.6 assists a game, helping to lead the Blazers to a 54-28 record and the playoffs. The Blazers would be the fifth seed in the playoffs and take on the Houston Rockets in the first round. This would be where Dame had his first really monumental NBA moment as it came down to the wire in game 6, as the Blazers were up 3-2 on the Rockets. Dame caught an inbound pass and shot a three pointer as the clock ran out to win the game for the Blazers and have them advance to the second round. That three pointer remains one of the most recent game winners that stands out over the last era of basketball. It has to be Dame's greatest moment in his career so far. After the big game winning shot, the Blazers would lose in the 2nd round of the playoffs, but Dame seemed focused and would have to come back stronger than ever and lead the Blazers back to the playoffs. 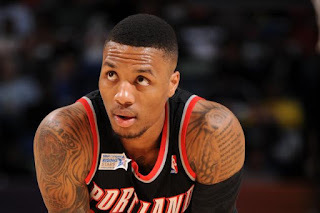 Dame ended up being named to the All NBA Third Team for the first time in his career and as the 2014-2015 season began, the Blazers were in a prime position to make a big run possibly. Dame would finish this season with 21.0 PPG and 6.2 APG earning another All Star selection and leading the Blazers to the fourth seed in the playoffs with a 51-31 record. The Blazers would step up and face the Grizzlies in the first round and unfortunately their road to a title didn't seem to work out, as the Grizzlies disposed of them in 5 games. 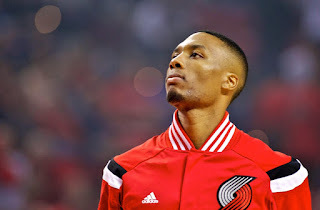 It would be after this season that a large portion of the Blazers core would leave and Dame would get his 5 year, 120 million extension contract, putting faith in him as the true star of the team and the last leader. As 2015-2016 season began, no one knew what type of season Dame would have, but the pressure all fell on his shoulders to create the magic for the Blazers and lead them to become a viable playoff team even after losing so many vital players, especially LaMarcus Aldridge. Dame would suffer an injury and miss some games this season, but he would go on to put up some great performances, including a 40 point game against the Warriors in a loss. The Blazers struggled honestly for the first few months of the season, but as the All Star voting time came up and it was evident that Dame wasn't going to be voted in, something lit a fire under him. Dame would begin to play with a focus that we hadn't seen before, and he led the Blazers from being a non factor to now in the driver's seat as a 6th or 7th seed and making the playoffs. His greatest moments would come as the adversity of not being an All Star this season would result in excellent play. Dame had a huge career game against the Warriors in a blowout victory that saw him put up 51 points on 9 three pointers and he would go on a string of 30 point performances that is starting to get his name mentioned for the MVP race as well now. Dame would put up a recent 50 point performance again against the Toronto Raptors in an unfortunate two point loss. With the Blazers now looking like a possible threat in the playoffs, CJ helping to give the Blazers the 2nd best backcourt in the Western Conference, and Dame with a killer instinct that's growing, this could be a surprise year for Dame and the Blazers. He's been playing at such a high level and he's only been in the league a few years, so there's no telling what could happen as he reaches his true prime. Currently averaging 25.8 PPG, this could be seen as Dame's career year and with that big contract still in play for some more years, it is no telling how far he can go and how far he can take the Blazers. The next 5 years could see a possible championship in his future. Only time will tell.